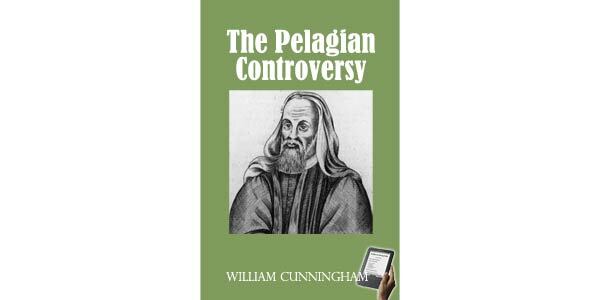 The Pelagian controversy respects chiefly topics which are usually classed by continental writers under the head of Anthropology, or the doctrine of what man is, and of how he is influenced in those matters which concern his salvation. They stand connected with the views which Scripture unfolds to us of the actual state and condition of human nature, and, of course, of each man who possesses it, and of the kind and causes of those changes, if such there be, which are necessary to prepare men for the enjoyment of heaven. The discussion of these topics, indeed, runs up into the investigation of the divine sovereignty and fore-ordination; but still the basis and starting-point may be said to be in the questions, What is man? his character and capacities? and what the nature and the source of those changes which must be produced upon him in order to prepare him for the enjoyment of God's presence? 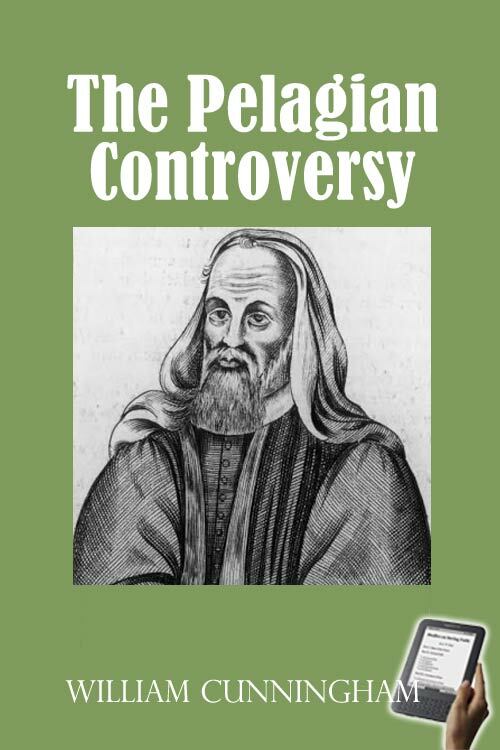 The Pelagian controversy thus includes all those most important and difficult topics which are usually discussed in works on systematic theology, under the heads, De peccato, De gratia, De vocatione, and De prcedestinatione. No subjects can surpass in intrinsic importance those which treat directly of God and Christ; but those we have now to advert to are not inferior in importance, being just as intimately connected with the salvation of men's souls, and therefore as truly necessary to be known, and known correctly, and as fundamental in their character. The history of the church seems to indicate that somehow the prosperity of vital personal religion is more closely connected with correct views of the points involved in the Pelagian controversy, than even with correct views upon the subject of the Trinity and of the person of Christ. There never, indeed, has been much appearance of true personal religion where the divinity of the Son of God has been denied; but there has been often a profession of sound doctrine upon this subject, long maintained, where there has been little real religion. Whereas, not only has there never been much real religion where there was not a profession of substantially sound doctrine in regard to the points involved in the Pelagian controversy, but also— and this is the point of contrast — the decay of true religion has always been accompanied by a large measure of error in doctrine upon these subjects; the action and reaction of the two upon each other being speedy and manifest. The apostate Church of Rome has preserved throughout an orthodox profession on the subject of the Trinity; but though precluded by her avowed principles from professing Pelagian doctrines, which have been frequently anathematized by popes and councils, she has always, in her practical teaching, exhibited a large amount of Pelagian error, and may be said to have become formally liable to the charge of teaching Pelagianism, in consequence of the general adoption by the church of the famous Bull Unigenitus, against the Jansenists, published in the early part of last century. There is one consideration which makes the Pelagian controversy somewhat more intricate and perplexing than the Trinitarian; and that is, that there is room for a greater diversity of sentiment, and a greater indefiniteness or latitude of statement, even among those who may, perhaps, be regarded as agreeing in the main substance of the doctrine, in the one case than in the other. Few persons who have been classed under the general designation of Pelagians— except Pelagius himself, and his immediate followers, Coelestius, and Julian, and modern Socinians and Rationalists— have denied altogether that man's nature suffered some moral taint or corruption from the fall, or that the gracious agency of God is in some way necessary in preparing men for heaven. When men go so far as to deny these things, the grounds of controversy are abundantly clear and definite: but there have been many who, without going nearly so far, and without therefore having opened up nearly so clear and definite a field for controversial discussion, have yet been charged, and justly, with greatly underrating the effects of the fall upon man's moral nature; and with superseding, to some extent at least, the agency of the Spirit in his conversion and sanctification. Pelagianism, in its original historical sense, is thus a pretty definite heresy, striking at the root of almost all that is most peculiar and distinctive in the system of revealed truth; but what has been called semi-Pelagianism — which may be regarded as describing, in general, views that make some approach to Pelagianism, but do not go quite so far— is of a much more vague and indefinite character. Pelagianism, and other words of a similar description, are often used in theological literature with a considerable measure of vagueness, —not to describe the precise sentiments of him from whom the name is derived, but rather as a convenient, though of course somewhat loose, mode of indicating a general class of opinions, of which there may be no one very definite standard, and which may not have been fully developed by the original broacher of the doctrines, who has given name to the system, but only by those who have afterwards followed in the same general track. There has been, perhaps, more indefiniteness in the use of the word Pelagianism than in that of almost any other word of a similar kind; for this, among other reasons, that there has never been any distinct and separate community of professing Christians to which this designation has been generally attached as their ordinary distinctive appellation. The Socinians, indeed, have fully adopted the views of the original Pelagians in regard to the character and capacities of man's moral nature, and the agency of divine grace; but these are not the features of Socinianism which have attracted the largest measure of public attention. Arminians have been commonly charged with holding Pelagian errors; and no doubt all Arminians hold some principles which were maintained by Pelagius and his followers, and opposed by Augustine and the church in general in his day; but then there have been some of the better class of Arminians, —especially Arminius and the Wesleyan Methodists, — who, however inconsistently, fully adopt Augustine's views upon what are usually regarded as the main distinctive features of the Pelagian system, —viz., the entire depravity of human nature, and the absolute necessity of the special gracious agency of God in the whole process of the conversion and sanctification of sinners, —and are thus much more orthodox upon these points than even the semi-Pelagians were. In ordinary usage, Pelagianism is commonly employed as a general designation of defective and erroneous views in regard to the extent and consequences of human depravity, and of the necessity of special divine agency in conversion and sanctification; and it is obvious that there is room for considerable latitude in the extent to which the deviation from sound scriptural doctrine upon this point may be carried. There are strong and powerful tendencies of various kinds that lead men to underrate the injurious effects of the fall upon their moral nature, and the consequent necessity of divine grace for their renovation; and on this account, Pelagian views, more or less fully developed, have prevailed very extensively in almost every age of the church. Generally, they have assumed somewhat of a philosophic dress, and have prevailed most among those who have thought themselves entitled to the character of rational Christians, and professed to be very zealous for the interests of morality and virtue. Sometimes, however, as we see in the Morisonianism of our own day, they have assumed a more apparently scriptural and sanctimonious garb, and have been accompanied with great professions of an eager desire for the conversion of sinners, and an anxious wish to remove every obstruction to men's coming to Christ, and laying hold of the offered blessings of the gospel. In this latter class of cases, there has usually been mixed up with the Pelagian error a larger amount of scriptural truth than has been maintained by the more rational and philosophical Pelagians, —so much of scriptural truth, indeed, as that God may have, to some extent, blessed the labours of these persons for the conversion of souls, —not of course because of the error they hold, but in spite of it, and because of the truth they hold along with it. But, in so far as this particular point is concerned, they, just as much as the other class, obscure the divine sovereignty in the salvation of sinners, and do what they can to rob God of the glory which He has declared that He will not give to another.